Ever been a tourist in your own town? 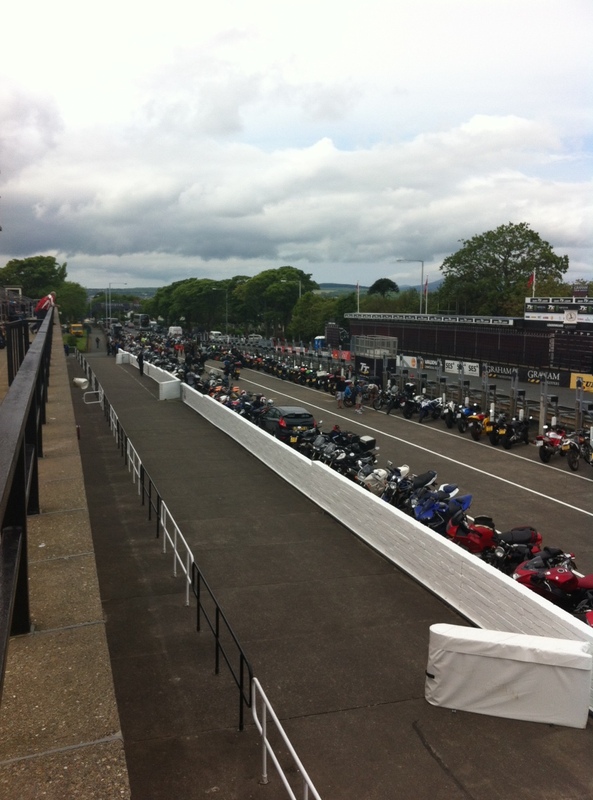 I have lived on the Isle of Man for 7 years and until this week had never been to the Grandstand during TT fortnight. So, with some spare time on my hands off I went to enjoy the delights it had to offer. Before we go on let me get somethings straight, I enjoy the TT but I am no biker chick and it is important to point out that there are normally only 84,000 souls on this island but that can almost double during TT – it’s a BIG thing! Upon my arrival at the grandstand I was struck by how much leather was about, not to mention beards. It was equally cool to just stand there and listen to the voices, German, Dutch, French, American I have to say, I was utterly amazed! As a linguist my first thought was how can we tap into this? But that’s another thing entirely! 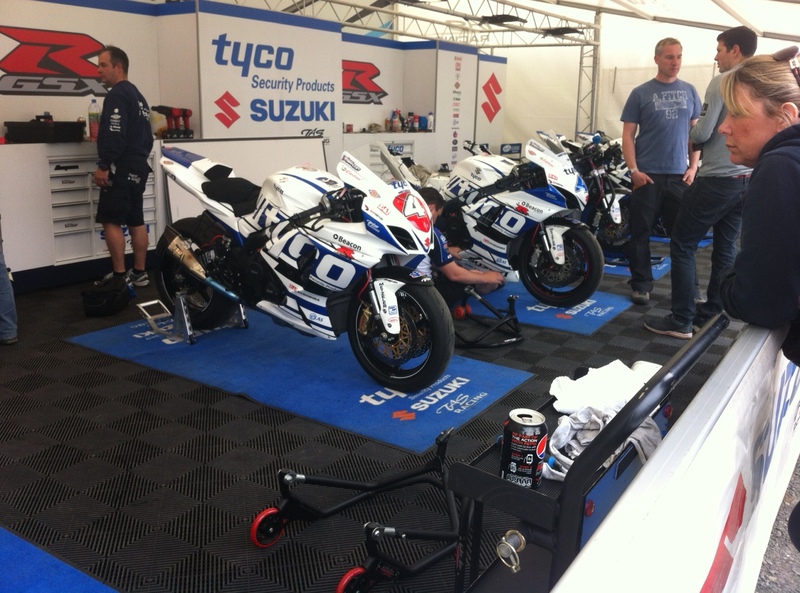 As I moved to the back of the grandstand I came across all the team trucks which bring the racing bikes to the island. Set up in front of these trucks were gazebos, for want of a better word, in which the mechanics were working on the bikes. Now, one bike is pretty much like the next bike to me but it was fascinating to watch grown men grow weak at the knees at the sight of an engine being cleaned! Moreover some of the riders were wandering about, these guys are just regular blokes who often have a day job but come here once a year and are superstars. For the most part, if a TT rider bumped into in the supermarket I wouldn’t know who he was but it was fascinating to see how idolised these guys were by other men in leather! My final tourist stop was a walk onto the grandstand itself. Out in the pit land there was bikes as far as you could see – it was unreal and once again many bikes were surrounded by men chatting about yep, bikes it was really fun to see and I was glad I’d had my hour as a tourist. I felt I understood the psyche of a biker and bike fans a little more and I really did comprehend how big a deal the TT is for some people. This was brought home to me once again when I was stood in the sea terminal yesterday and there were a large number of visitors already booking their tickets for next year! Bikes as far as the eye can see! My touristy moment got me thinking, why had I enjoyed it so much? After all I’m no real bike fan. The conclusion I came to was that I enjoyed being able to take a step back and view the whole experience from another person’s perspective. I was a tourist but I was also removed from it too in some ways. My thoughts developed. As the school year draws to an end maybe it’s time to be a tourist in your own classroom? 1. Go into your room, how do you feel? Relaxed? Calm? or is it a bit busy and messy? What feeling does that induce in you? Watch students come into your room. How do they react to the space? 2. Seating. 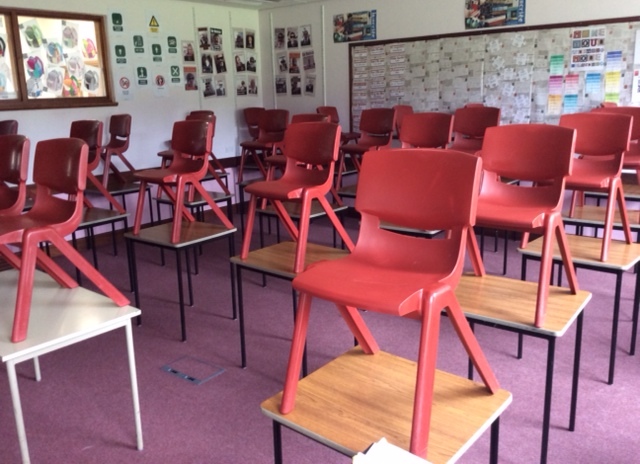 Is your seating arrangement conducive to learning? Try to remove all emotion from the situation and watch the students at work? Recently I had to rearrange my classroom into rows for exam week. I hated it. The feeling of the room seemed to change from one of warmth and friendliness to one of victorian austerity. There was no space, I felt very trapped at the front and students struggled to move to their desks. 3. Decor. Is your room inviting and clean? Are the displays neat or are they all ripped and battered? Are your blinds working? What about the windows do they work? How can you improve the environment? I love space, I get rid of anything that I don’t want cupboards, shelves – everything. For me to work I need space and light. I used to occupy a classroom just up the corridor from where I am currently housed. The view from the window was of a brick wall, the room was always dark even in the summer. It depressed me hugely. As soon as my current room became available I jumped a the chance to move to a room with a view of the mountains which faces south. It has made a huge difference to me and I think to my students. 4. Listen. When I was at the grandstand this week I loved listening to the conversations going on around me. Take stock. Listen to your students as they work, as they come into the room try to be that fly on the wall. What do they say to you when they leave your class? What do you say to them? How do you say it? 5. Watch. As a tourist there is no better way to spend your time than people watching. Do it in your own classroom. Watch the interactions of the students with each other. Step back, watch how they react to you. What do you learn? Next term, take some time. Become a tourist in your own classroom. Take stick of what goes on and why? Maybe you could change something or maybe like me at the grandstand, you can come to an understanding of what makes your classroom tick in the way it does? Either way being a tourist is huge fun, you always learn something and it always puts a smile on your face. This entry was posted in Teaching and learning and tagged classroom, environment, teaching and learning by Rachel Smith. Bookmark the permalink.